It’s that time of the year again where we start to plan our leave, take stock of the year gone by and start the pilgrimage trip down to Orchard Road to check out the Christmas decorations by the various shopping malls, listen to the Christmas carols and taking photos with Christmas Ornaments. It is also the time of gifts as most would be doing their shopping for love ones, friends, the office gift exchange and of course for one’s self. For myself, it is also the time to take stock of what POPCulture Online shopping dresses has achieved in 2016 on the IT and Digital Content front which I look after. First thing to mind is that I need more harddisk space and thanks to ShopBack and Lazada, I got myself two new HGST DESKSTAR 4TB NAS drives at a good pricing from Storage Studios. They arrived within the week and the first to my mind was not all the glorious Terabytes of space I now have but the ugly grey plastic bags they were in. I spent about $25 on the gift exchange present and qualified for the free gift wrapping. Thankfully they are not presents to be sent out although it made me think about how in the digital age of online shopping, is there a way to buy items online and get them sent in something more Festive as presents? 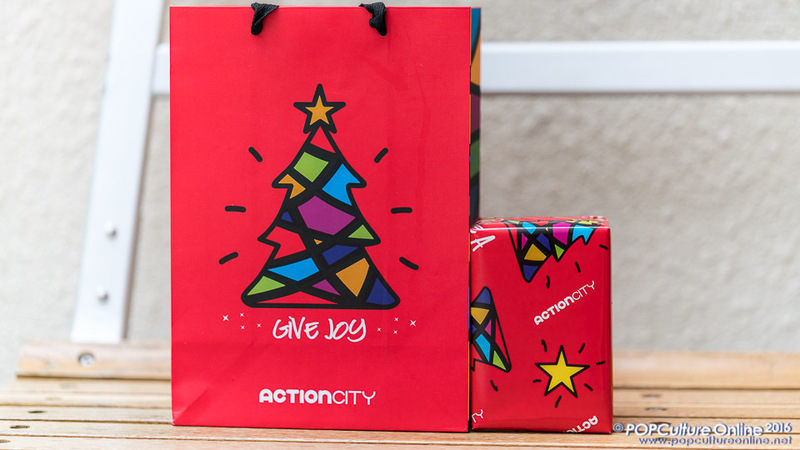 Well at least if the items were bought at a physical store like Action City where I got my office gift exchange present… Yes Kenneth is bad at wrapping presents. That got me also thinking if there was a better way to send presents all nicely wrapped up or at least with some form of Christmas decorations or at least some festive season markings. Testing out SingPost’s Limited Edition Festive Poly M and SmartPac mailers with a 9.7″ iPad Cover and the HGST DESKSTAR 4TB NAS Drive box respectively. Mini Postman is used for size comparison and not for sale. 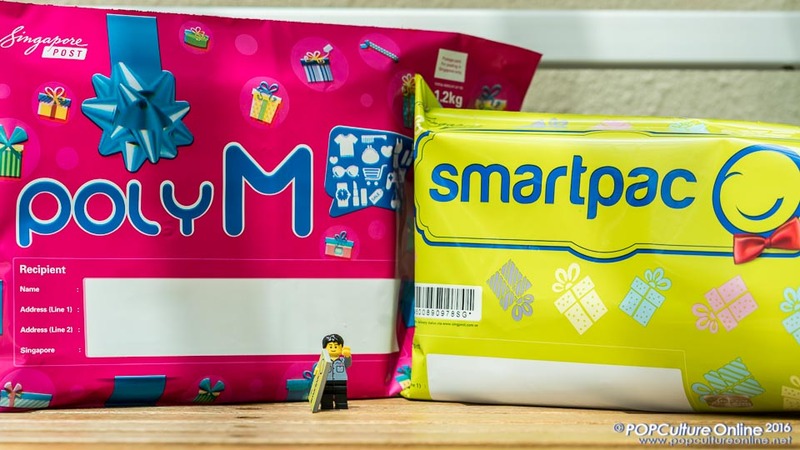 Checking with SingPost, it seems that they do have a solution for my problem – the new SingPost’s Limited Edition Festive Poly M and SmartPac mailers. Yes the usual Poly M and SmartPac mailers now come in festive designs so you can put your “wrap” present in and send them over. While Poly M gets delivered to the mailbox so things like big Christmas cards or even an iPad cover is good, the Smart Pac is for bigger items like the HGST DESKSTAR 4TB NAS Drive box. Best thing about the Smart Pac is that Mr Postman will put it into the mailbox if no one is at home. I hope this little discovery will also help you busy working people who are rushing your Christmas Shopping this final week before Christmas Day itself. This is Kenneth on behalf of the POPCulture Online crew signing off for 2016 and wishing you our readers, a Merry Christmas and a Great 2017~!